Mycobacterium tuberculosis and Mycobacterium bovis are the principal agents responsible for human tuberculosis and tuberculosis in domestic and wild animals. Both form microscopic cords, a phenotypic characteristic that has been related to their virulence. 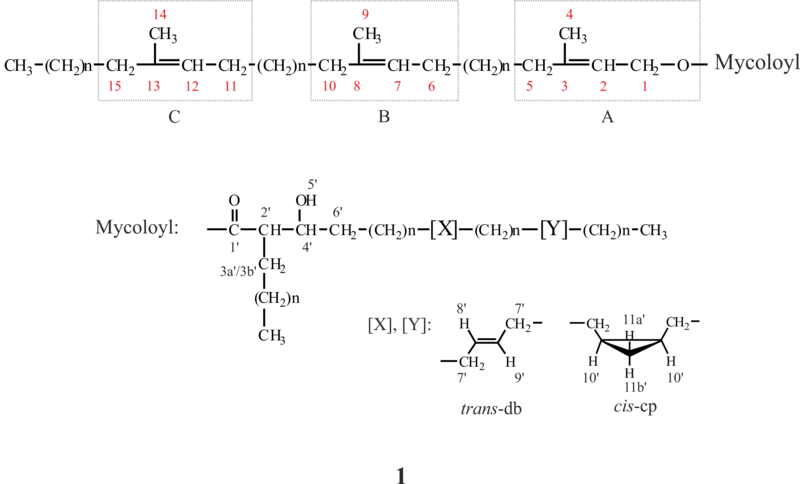 The compounds responsible for cording are unknown, but a recent work has shown that cording could be related to the fine structure of α-mycolic acids. 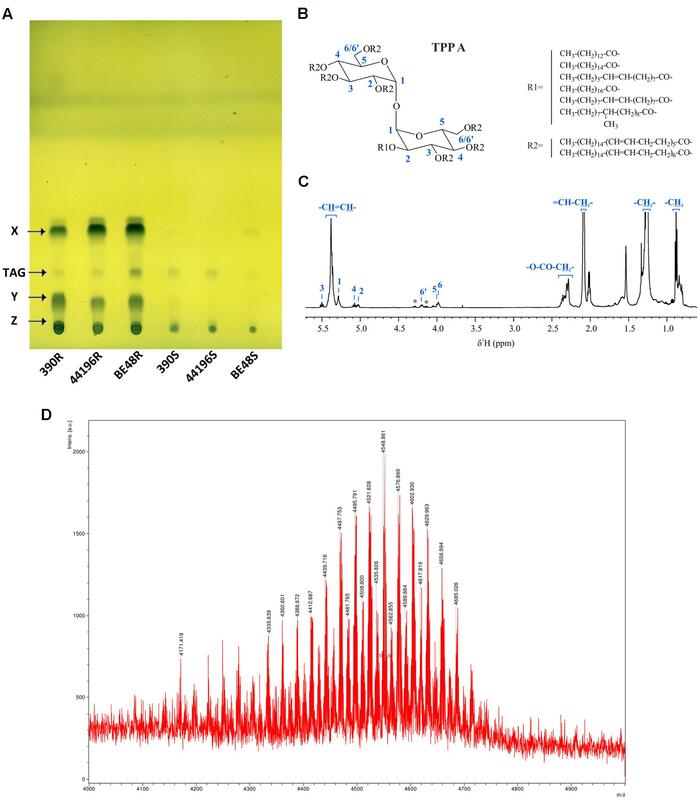 This investigation attributes the need of a proximal cyclopropane in α-mycolic acids for cording in Mycobacterium tuberculosis and Mycobacterium bovis BCG and proposes cyclopropanases as good targets for new chemotherapeutic agents. As in addition to M. tuberculosis and M. bovis, other Mycobacterium species form microscopic cords, it would be of great interest to know if the relationship between proximal cyclopropanation of α-mycolic acids and cording could be extended to non-tuberculous mycobacteria. 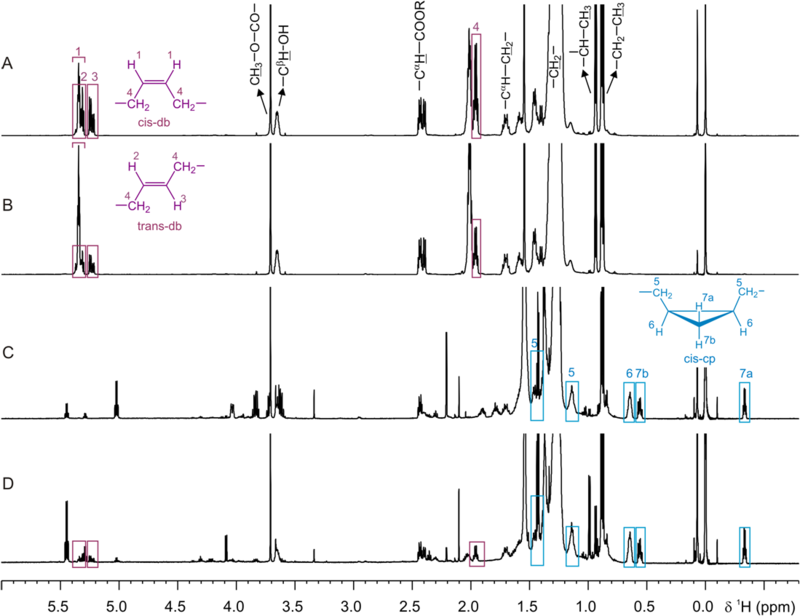 In this work we have studied the correlation between cording and cyclopropanation of α-mycolic acids by Nuclear Magnetic resonance (NMR) spectroscopy and Scanning Electron Microscopy (SEM) images. 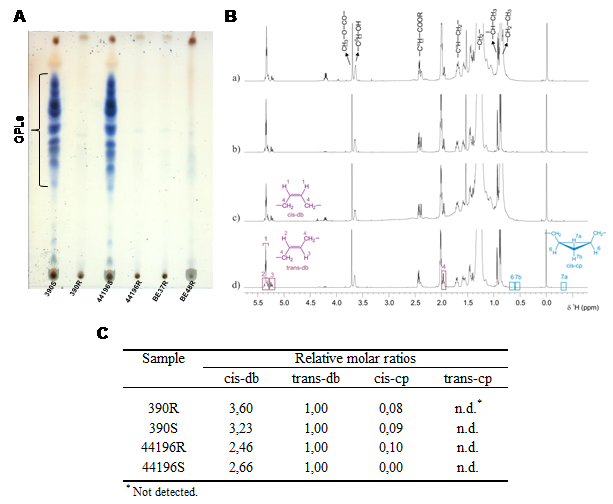 1H-NMR spectra of α-mycolates purified by TLC from (a) M. brumae, (b) M. fallax, (c) M. bovis BCG and (d) M. marinum.